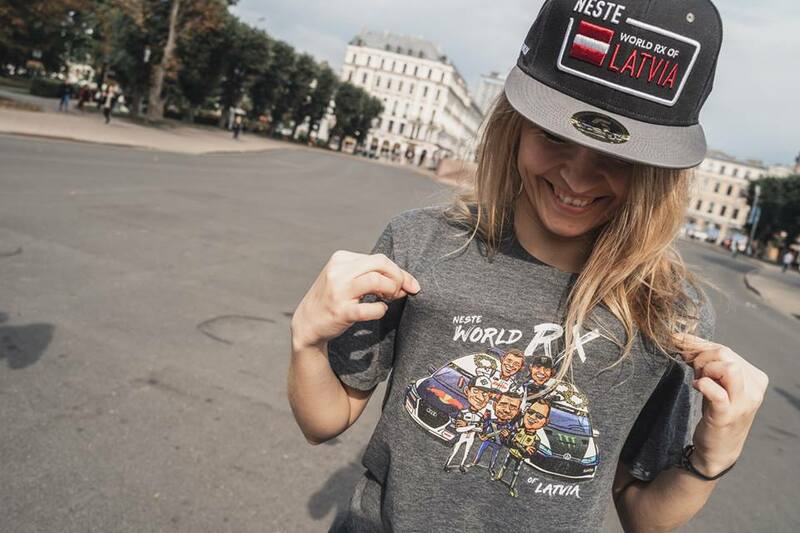 The Latvian round of World RX is always a highlight of the season for drivers, teams and spectators. 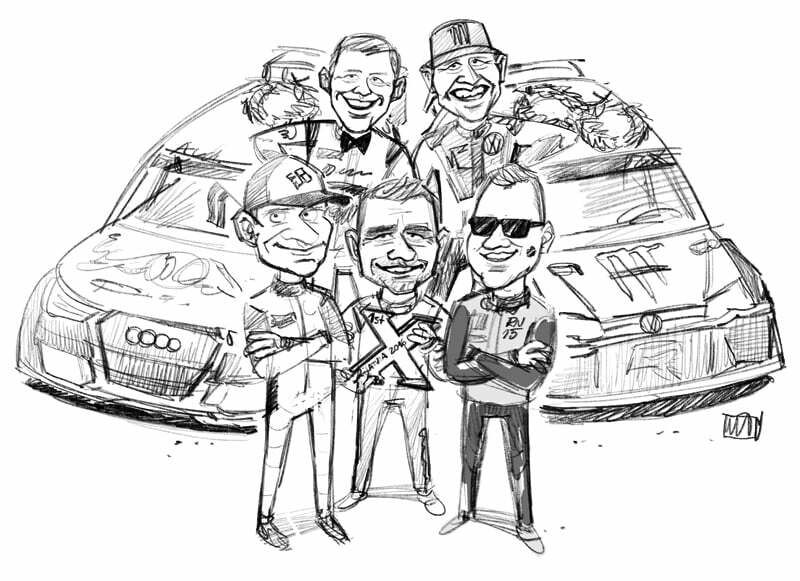 This year special limited edition t-shirts with driver caricatures was made. 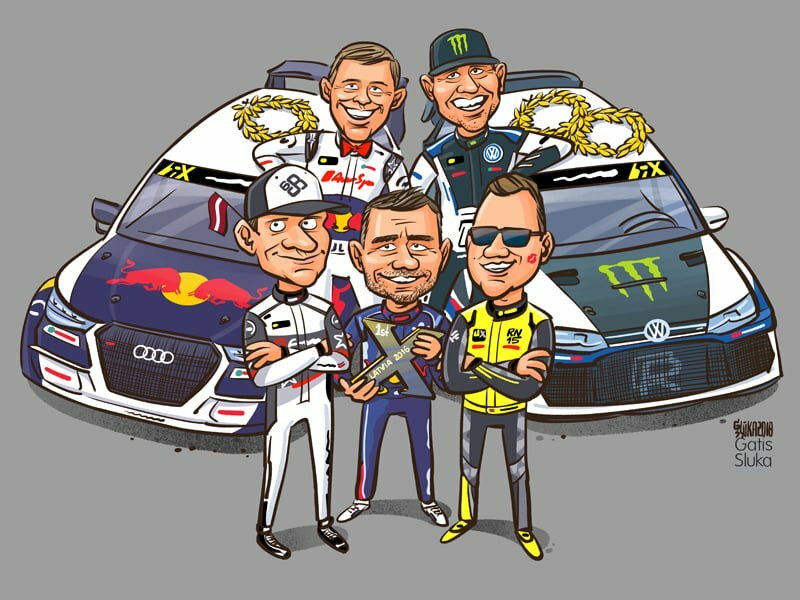 In this caricature you can find Latvian drivers – Janis Baumanis and Reinis Nitiss (New Champion of FIA European Rallycross Championship for Supercar). And there is also famous Sebastien Loeb, Mattias Ekstrom and Petter Solberg.